Think about it: How can two objects exert attractive forces on each other when they are not in contact with each other? Every object sets up a gravitational field around itself due to its mass. When two objects enter each other’s gravitational fields, they will be attracted towards each other. 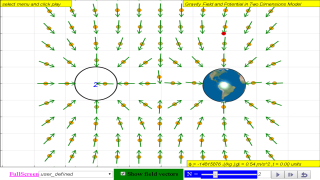 Hence, a gravitational field is a region of space in which any object that lies in it experiences a gravitational force towards the object that creates the field, due to its mass. A gravitational field is invisible and thus is represented by imaginary field lines on paper. How would the Earth’s gravitational field (over both near and large distances from Earth) look like? • The field lines should be drawn parallel to each other and of equal spacing. 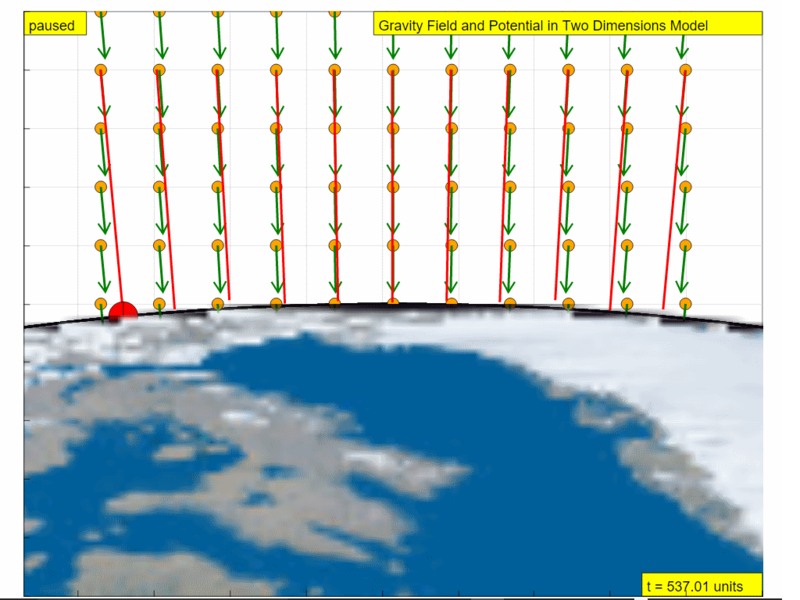 2) Select from the drop down menu the option for Near_Earth_Surface. Using the same steps earlier, try to draw the RED field lines for this case. Compare with the picture below. • The gravitational field around Earth is non-uniform. • The field lines should be drawn radially pointing towards the centre of Earth. 3) Select from the drop down menu the option for Outer_Space. Using the same steps earlier, try to draw the RED field lines for this case. Compare with the picture below. 4) Finally, select from the drop down menu the option for very_outer_Space. Using the same steps earlier, try to draw the RED field lines for this case. Compare with the picture below. 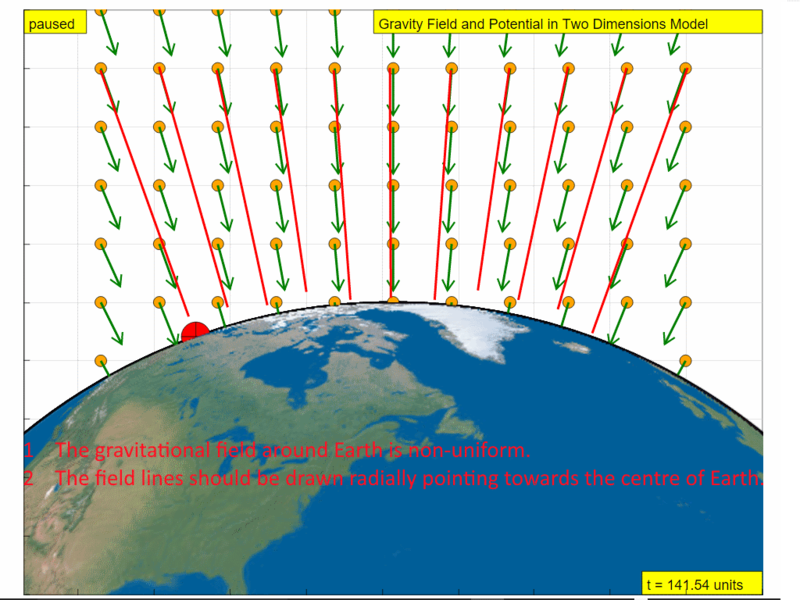 • The field lines (use the red test mass to draw field lines) should be drawn radially pointing towards the centre of Earth. 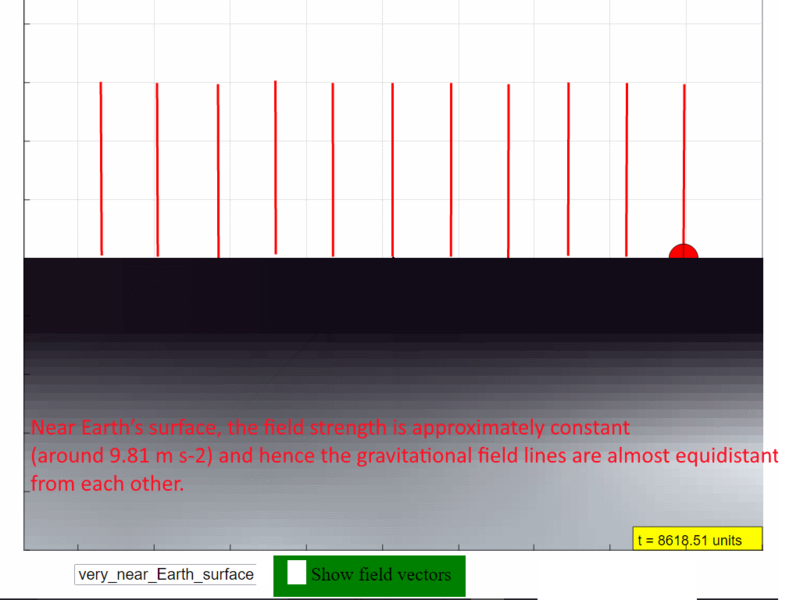 The closer the field lines, the stronger the gravitational field. 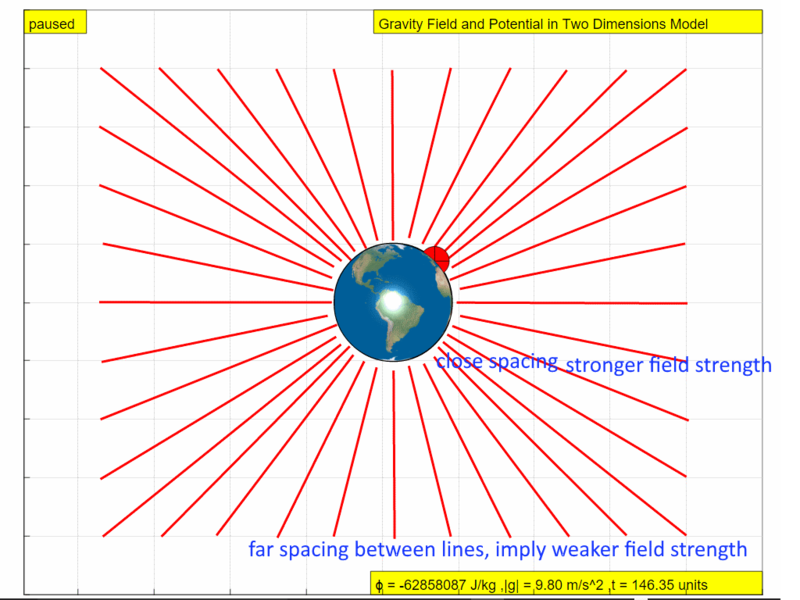 Near Earth’s surface, the field strength is approximately constant (around 9.81 m s-2) and hence the gravitational field lines are almost equidistant from each other. 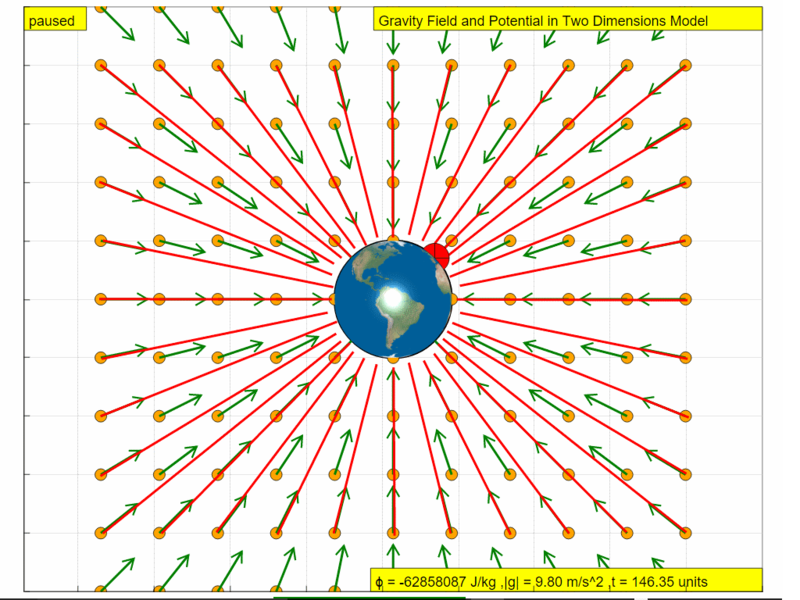 Over large distances from Earth, the gravitational field strength decreases as it gets further from Earth and hence the gravitational field lines space out further from each other.